Fragrance sticks only - egg not incuded. 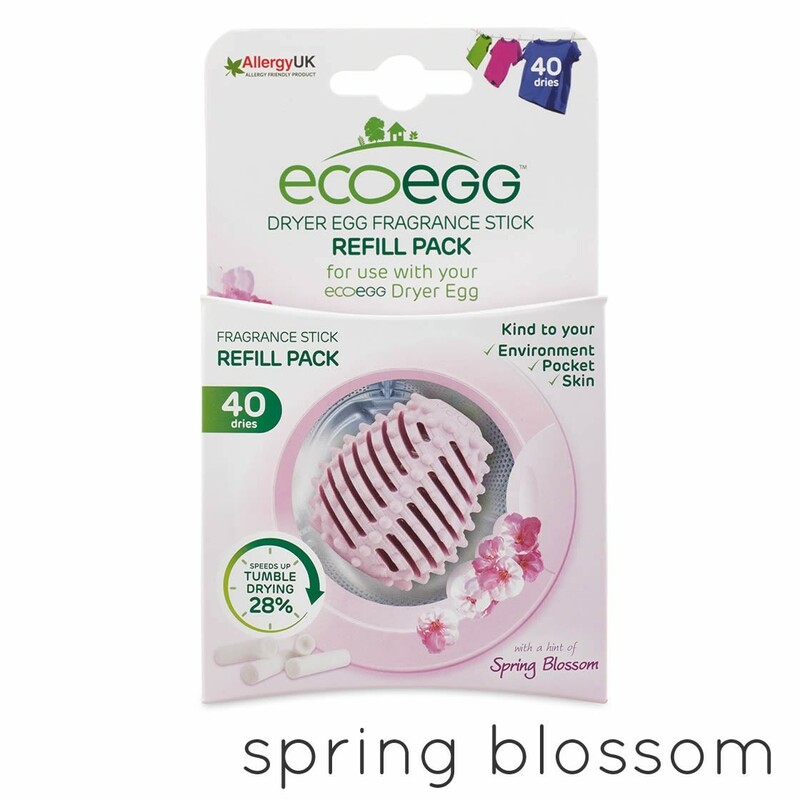 The Eco dryer eggs are clever little eggs that you put in your tumble dryer, they speed up the drying time, soften your clothes and you can use them to fragrance your laundry if you include the scented sticks that go inside the eggs. The primary benefit of the dryer eggs is a reduction in drying time of up to 28%, this saves a whole heep of money in electricity and helps out the environment too. But how do the Dryer Eggs work? Simply place the Eco Dryer Eggs in the dyrer with your clothes. The Eggs lift and seperate clothes as they tumble about which allows more air to circulate between them thus increassing the speed in which they dry, simple! 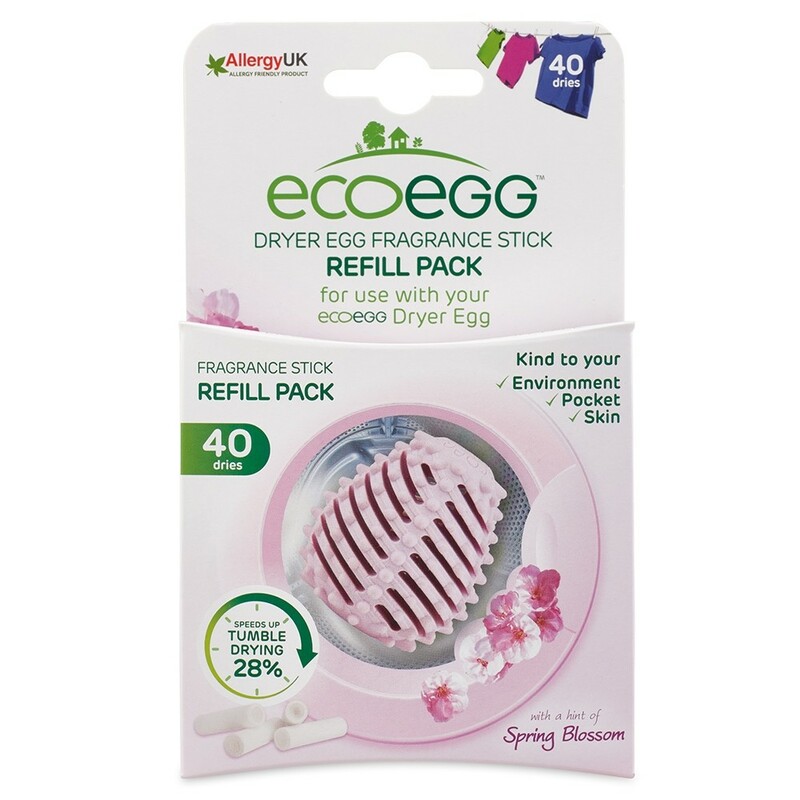 The Dryer Eggs have little nodules that gently lift the fibres in your clothes reducing the stifness caused by washing and so soften you clothes naturally without the use of any chemicals.